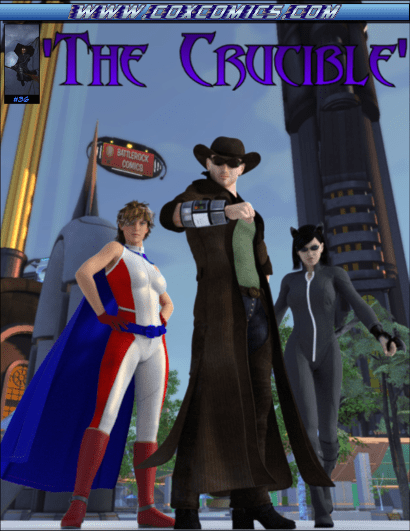 See Galatea Future in “The Crucible” 36! When last we saw Watcher Twelve and his catgirl companion Synnamon Kitten in the pages of “The Crucible”, they were fleeing from a rampaging Egyptian death god in Paragon City. Thankfully said god was distracted by Furia Powers. Well, now the wandering spirit and his companion have ended up in the world of Champions Online! And it doesn’t take long for Twelve to get involved with something serious. Fortunately, there’s something about a Watcher that catches the attention of another member of the “Powers” family… namely the alternate-future version of Galatea Powers, now known as Galatea Future. The former-omega-incarnate hero with a thousand years under her belt happens to know a thing or two about travelers like Twelve. 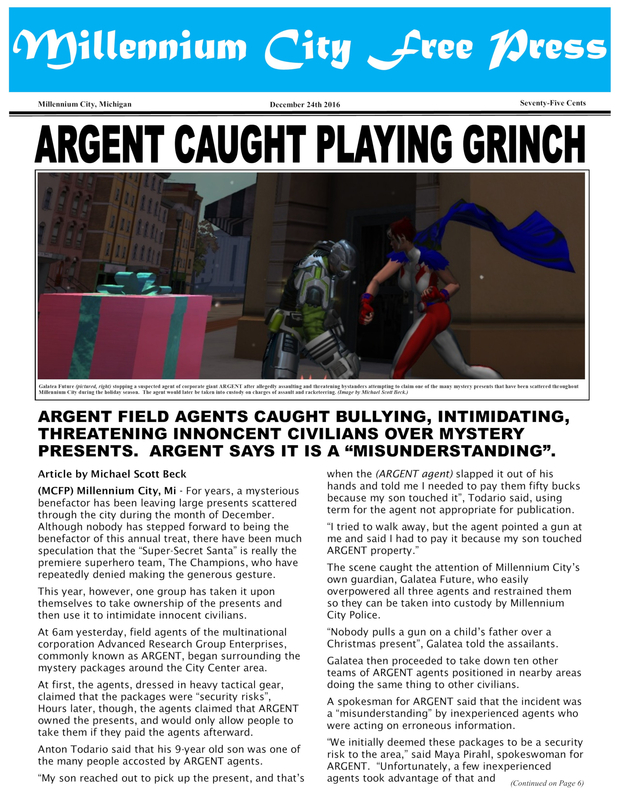 But will she be able to help the two get through their visit in Millennium City? Find out! 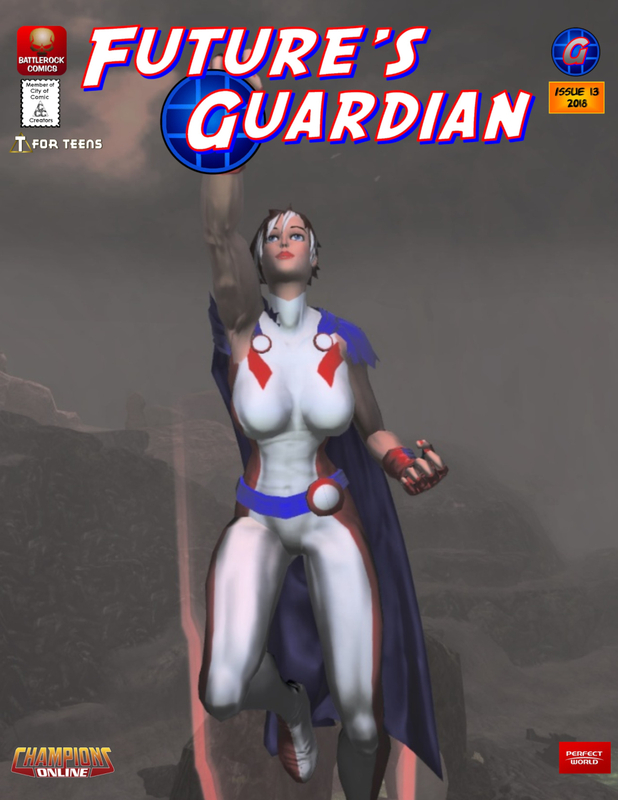 The central character from “The Lost Adventures of Galatea Future” and “Future’s Guardian” is not only in the latest issue of “The Crucible”, but she’s on the cover as well! Special thanks to V. Phillips for rendering Galatea in 3-D as well as throwing a nod to Battlerock Comics.